After an equity study found significant disparities between black and white students in disciplinary actions and academic placings, Decatur intends to be the first school district ever to tackle and achieve racial equity. Newly hired Equity Director Dr. Lillie Huddleston has spent the last year meeting with parents, teachers and community members throughout the district to learn as much as she could about equity and inequity in Decatur. This led her to a complete examination of the District’s equity using Thomas P. Miller & Associates and Next Step Associates. The disparities in discipline were the first to catch Huddleston’s and Superintendent David Dude’s attention. The Equity Report shows that in the 2016-2017 school year, 20.5% of black students with a disorderly conduct incident received an out of school suspension, while only 2.1% of white students with the same incident report received an out of school suspension. After seeing these disparities, Huddleston researched and cited two causes as the most likely for these statistics. One of the primary factors could be that black students are being referred more often for code violations than white students. If black students are referred more frequently, they will be further along the consequence line than white students, resulting in harsher disciplinary actions, according to Huddleston. The second reason Huddleston cited was implicit bias, which means teachers and administrators punished black students more harshly, due to their race. 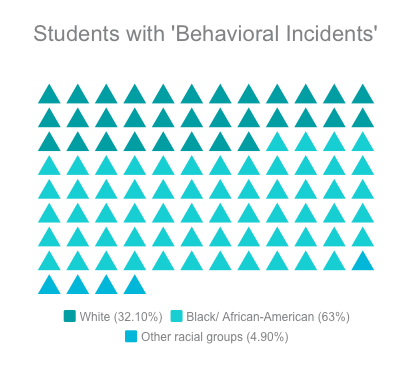 The Equity Report shows that of the students with ‘behavioral incidents’, 63% were black and 32.1% were white, which is largely disproportionate to Decatur’s student population. In the Equity Report, an unnamed administrator discussed their observations of implicit bias in a focus group. Huddleston still isn’t sure how connected, or prevalent, each of the two causes are, but she worked through CSD’s disciplinary policies with “a fine-toothed comb” to find ones that could target black students unfairly and created several plans to combat the disparities. Equity committees at each school and in CSD have been formed. At Decatur, they’ve read a book on equity, gone on a retreat, and begun to educate other teachers on how to promote equity in the classroom. “One of the things that we’re doing is looking at restorative practices and punishments that are less punitive if a student is referred,” said Huddleston. As recommended by the Equity Report, this fall, administrators and counselors will be attending a training that will teach administrators new ways to interact, and process, students who are referred for disciplinary action. Huddleston is also looking at equity at other schools to find out what works. However, it may be quite the search. Racial disparities in discipline aren’t unique to Decatur, shows a March 2018 report by the Government Accountability Office, a government agency that provides auditing and evaluation services for the US Congress. It studied 19 schools in 5 states and found that black students were 15.5% of the student population but accounted for about 39% of suspensions. Eventually, CSD will have another large evaluation, but in the meantime, Huddleston looks at the disciplinary referrals at Decatur High once a week. 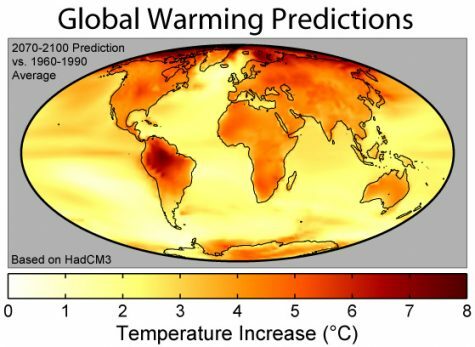 Huddleston said that it will take a while to see clear differences in disciplinary statistics. But Decatur’s Beacon Hill Black Alliance for Human Rights (Beacon Hill), is asking for concrete action as soon as possible. 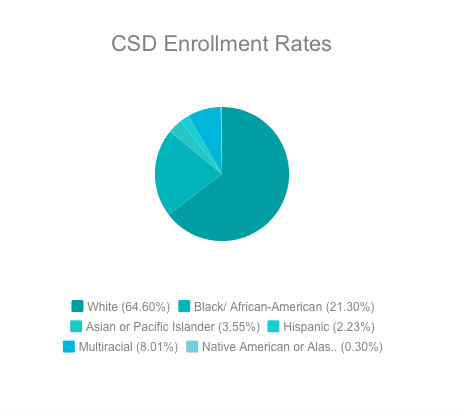 At the September Board of Education meeting, Huddleston introduced the CSD Equity Plan. At the same meeting, Beacon Hill, along with students from Decatur’s Black Student Union (BSU), presented a list of seven demands that were hand-delivered to CSD Superintendent Dude and Huddleston. The room was packed, and when asked if they supported Beacon Hill’s demands, most of the crowd rose from their seats. 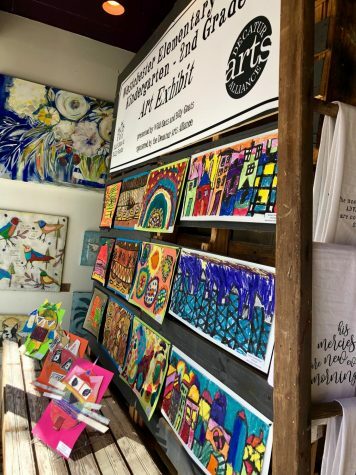 Beacon Hill’s list, which had been in the works for two years, included demand #1; ending out of school suspensions and expulsions for K-5 students and #4; the creation of a formal grievance process for students who feel they have been discriminated against. “We demand the establishment of a widely and easily accessible explicit grievance policy and protocol,” Kenya Oliver read to the Board. One of the most important demands, Oliver said, is the implementation of a grievance process. Her personal experience stems from being the only black person in many of her advanced classes. 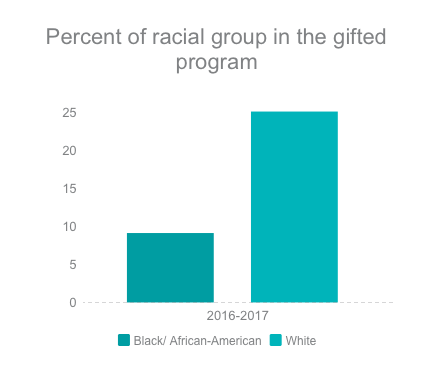 1 in 11 black students are in the gifted program, compared to 1 in 4 white students, which means that black students aren’t receiving the same opportunities. One of the challenges Huddleston intends to tackle is how to make programs like the IB Diploma more accessible for black students. “We have to find a way so that black students can see themselves in and be motivated to take advanced classes,” Huddleston said. Reflecting on Huddleston’s progress, Oliver agrees that teachers should attend implicit bias/ restorative training sessions, but says they need to be mandatory for all teachers, Beacon Hill’s demand #6. She says teachers who most likely need it may not be the ones who show up for an optional session. After Beacon Hill presented their demands, many parents and students voiced their support of the demands to the Board during its open comment session. One parent reflected on a situation she’d seen often for black students at Decatur. Compared to their white peers, black parents and teachers cited significantly more often that they strongly disagreed with statements about positive race relations, positive communication with families, and equitable treatment of students in academics and discipline. There’s definitely more progress to be made, agreed Dude. Mawuli Davis, President of Beacon Hill, and a community organizer and lawyer, has an extensive background working on civil rights and two sons who graduated Decatur. Many of the following quotes come from Decaturish’s interview of Davis. Davis said that in order to see a difference, the school district will have to make equity a priority. Beacon Hill lends a hand to many causes, but the group channeled all their energy into racial equity in CSD, Oliver said. Davis believes the demands will help all students, not just black students. 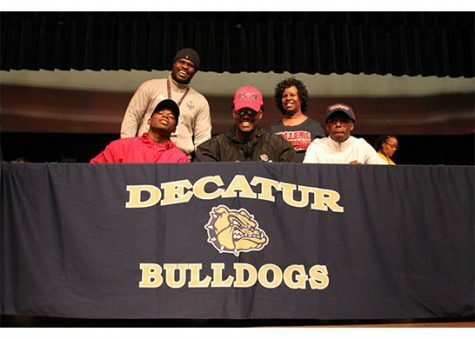 At the Board meeting, Davis described an incident that happened to one of his two sons, a graduated Decatur student. Davis said his son and a friend were playfully “necking” each other, and a parent reported it to the school as a “gang initiation,” and the school considered suspending Davis’s son. Davis dropped everything to go to the school and stick up for his son, he said, but he worries about other students who don’t have the same support system. “What scares me is parents that don’t have the education level, the wherewithal to drop everything… What happens to that young person is that they get a mark on their record going into college,” Davis said. 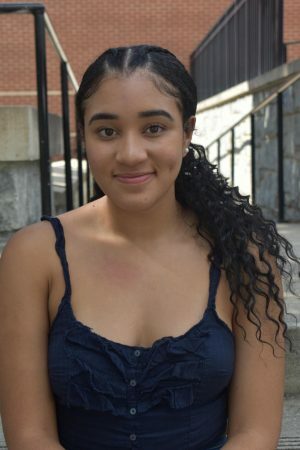 Senior Kenya Oliver is president and co-founder of the DHS Black Student Union. Davis testified to the credibility of parents and students sharing their experiences at the Board meeting. “Inequity has become normalized, like that’s just the way the world works, but it shouldn’t be,” said Ayoka Shakir, a longtime teacher at Decatur, who is on the CSD and Decatur equity committees. The demand that stood out most to Shakir was #7, the creation of a ‘cultural competence’ rating process of teachers. “I’m not sure how it’s to be done, but in literature, maybe we could look at the diversity of the material that we teach,” Shakir said. 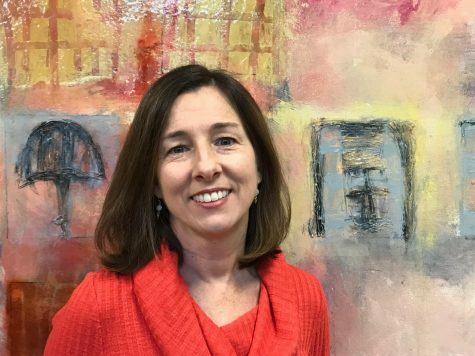 Starting on Monday, Sept. 8, a teacher workday, with others on the Decatur equity committee, she will help implement professional learning for other teachers around a book called Creative Conversations About Race, a “study guide for equity in schools”. Shakir strives to create an equitable environment in her classroom by making it a “family group”. “I want all of my students to contribute to the class and respect one another,” Shakir said. Shakir expects her students to respect other races and cultures, and reminds them often. Additionally, Shakir tells her students that they should not expect one student to be a spokesperson for an entire group of people. “Students can only speak for themselves, and it’s only fair to respect them as such,” said Shakir. She thinks the method works most of the time. “If it doesn’t feel like a community of respect, it’s usually because of something that’s happened prior to them being in my class… Then we have to try and overcome that”, Shakir said. 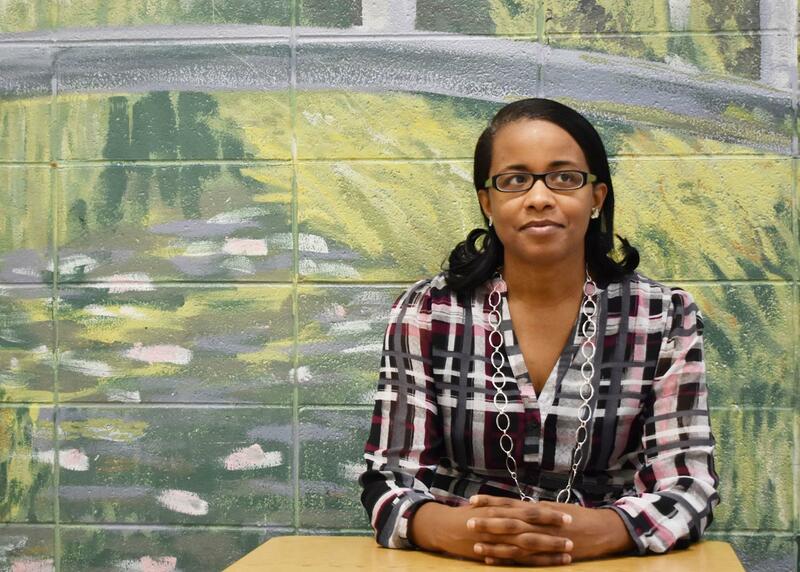 Oliver hopes to see more equity for black students at Decatur, but she isn’t sure she will.